Eleganza is a leading manufacturer and distributor of Ceramic and Porcelain Tiles based in Fullerton (Anaheim), California. 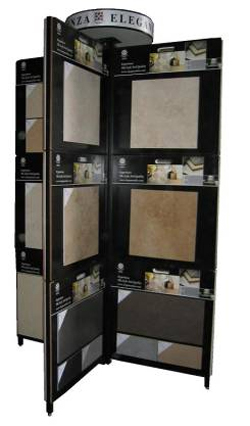 It has a customer based of more than 300 leading Tile Dealers and Distributors in North America, and is being one of the fastest growing Ceramic Tile Distributor in the Western United States. From the beginning, we are committed to be the best and become the most innovative tile distributor with the aim to deliver high quality and stylish product at an affordable price, without sacrificing service. This guiding principal will continue to propel our current growth. We value tremendously our relationship with our customers, and strive to become partner with them to ensure of future success. Their satisfaction has been the most crucial factor in our success. We offer our customer a complete package from the marketing display rack, large product selection, good service, and the above average profit margin. Our product selection is wide and unique, probably the most complete in the industry. Our tile design and looks are up-to-date and very popular with the general public. Most of our product has the Natural Stone looks, like: Travertine, Marfil, Botticino and Limestone, which are in high demand nowadays.